Published by almostaghost on December 1, 2012 in almostaghost and review. 0 Comments Tags: Diplo, DJ Switch, Greg Kurstin, John Hill, Pennsyvlania, Philadelphia, Santigold, Top 2012 Countdown. The inimitable Santigold follows up her fun first album with Master Of My Make-Believe, a strange and intense “don’t mess with me” sort of record. I mean, look at that cover closer. She’s taking on the world from that throne. The songs mostly all hit that theme, standing up for yourself and fighting through the struggles, from various angles and places (political to personal to social). There’s a lot of revolution in this album. 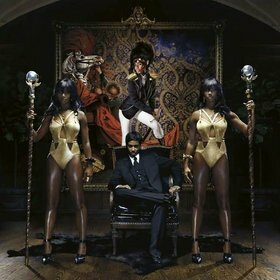 Musically, Make-Believe maybe suffers a little from having a different producer on each track, but Santigold remains the master of her vision, as she can vary from harder dance tracks to rap to pop, but still always stay within her zone. 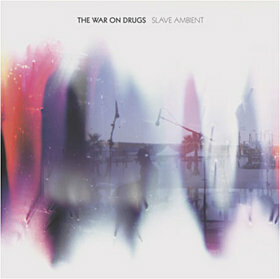 This odd, diverse, intense, catchy album is the result.